Lovingly crafted natural aquamarine earrings that everyone loves. Its sensuous colour will suit all skin tones. An ideal gift for that special person. Natural aquamarine is a blue variety of beryl, which women all over the world love. It ranges from light sky blue to a deep sea blue in colour and compliments any colour or skin tone. 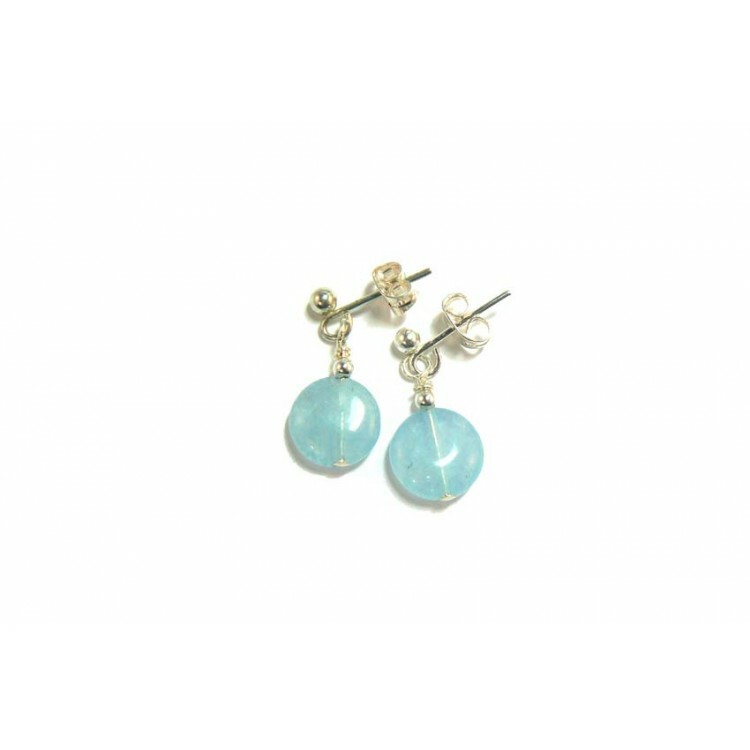 I have lovingly assembled these natural aquamarine gemstone earrings, and attached them to silver plated "nickel free" earring posts and scrolls, to comply with EU directives.